Hey all! 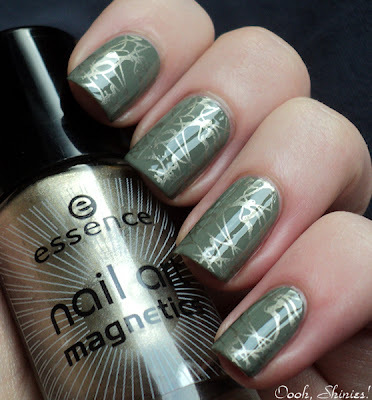 A while ago I saw a mani from AmyGrace where she used Catrice Enter The Undergrowth as base and stamped it with gold, and I knew I had to try that combo sometime as well. 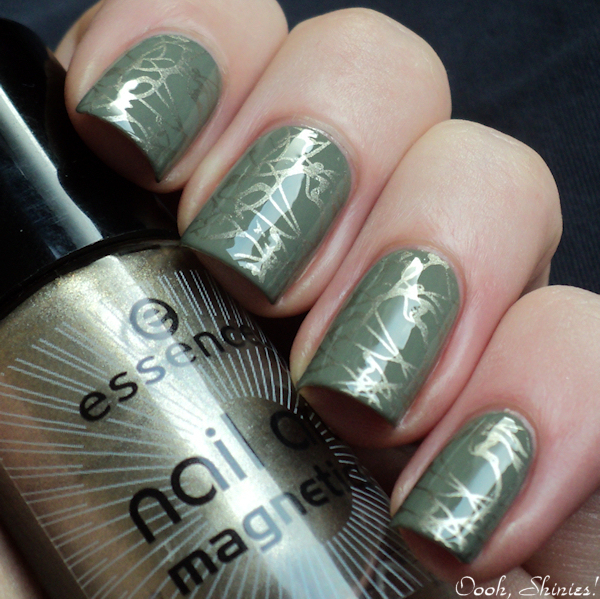 I don't have a real warm gold stamping polish, but Essence Pixie Dust! does the trick for me too. So here's 2 coats of Enter The Undergrowth with Pixie Dust and BPS plate m70. And I have to say, I'm loving this even more than I thought I would! The mani looks darker and warmer irl though.